Photo Pos Pro allows you easily create, edit, enhance, print, and manipulate your digital photos and computer graphics, and easily create eye-catching graphics. Though the Photo Pos Pro photo editor is a powerful program, it contains an extremely user-friendly interface enabling you to work intuitively. The software includes complete help system, free step-by-step tutorials and Hundreds of pre-made photo frames, patterns, textures, styles and shapes--all to accelerate your work and make it fun and easy. 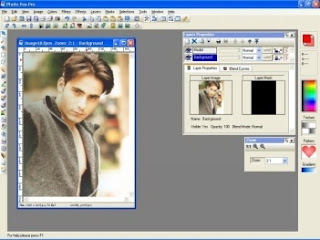 The software supports many image file types, transparent GIF's and PNG's, multiple-image printing; tabbed workspace; advanced enhancing, editing and computer graphics; special effects; layers, masks, script and batch tools; a batch converter and Web development tools. Version 1.62 features faster performances, adds New styles capabilities, adds features and improvements from users wish list and adds the ability to save multiple printing templates.